It’s the two words that can warm just about everyone’s heart: Play ball! Opening day for Major League Baseball has finally arrived, and with it comes the usual thoughts of spring and summer days and evenings. Opening day also brings questions, such as can the Red Sox repeat as World Series champions? Does Bryce Harper make the Phillies a contender for the crown this season? How many wins can the Pirates muster? But for the purposes of this space there is but one question to ask: What ballpark has the best beer menu? Face it, there are few things better than enjoying a beer (albeit likely a pricey purchase) at a ballpark while watching a game. And just as more people have expanded their brew palates beyond the Millers and Buds and are taking in craft beers, ballparks have followed the trend and expanded their beer selection for fans. While a trip to every big league stadium to check out its beer menu would be a dream come true, time and money are preventing this humble correspondent from hitting the road for the cause. Luckily, ReviewTrackers, a software company headquartered in Chicago, did a study in 2017 looking at the best baseball stadiums based on a number of factors, including beer. Max Schleicher, who runs content and SEO (search engine optimization) at ReviewTrackers, led the study. Schleicher used ReviewTrackers’ software to analyze the text of 130,000 baseball stadium reviews over the past five years. From that, he was able to put together a list of best baseball stadiums for craft beer. The good news for those of us in Pennsylvania is that Citizens Bank Park in Philadelphia came in second, just behind Cincinnati’s Great American Ball Park. One comment about Citizens Bank Park that Schleicher noticed from a fan was how there is now a good selection of local breweries. Here in Centre County, the State College Spikes offer an impressive selection as well, with 70 beer taps serving a number of varieties from the national standards to local craft brews. Pirates fans also can stick out their chest with pride. While PNC Park came in ninth for beer, it came in second for overall best stadium, behind only Camden Yards in Baltimore. Citizens Bank Park came in 10th overall. 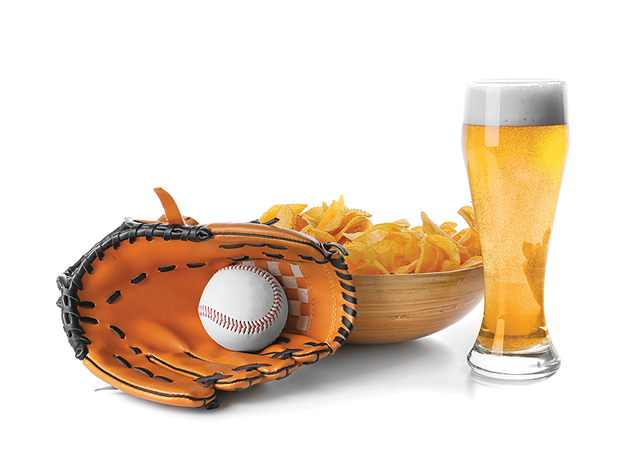 The top 10 stadiums for beer were: Great American Ball Park, Cincinnati; Citizens Bank Park, Philadelphia; Petco Park, San Diego; Progressive Field, Cleveland; Miller Park, Milwaukee; Guaranteed Rate Field, Chicago; Target Field, Minnesota; Safeco Field, Seattle; PNC Park, Pittsburgh; and Comerica Park, Detroit. Great American Ball Park most likely came in first because of its 85-foot beer bar that has 60 taps. Schleicher says he has noticed how baseball stadiums have increased their beer options because of the higher demand for craft beer from fans. If a stadium sticks with serving the major beers, it could face some backlash from fans, as Schleicher found out. And it’s not just beer where fans are craving something new and different. Fans also want options for food beyond peanuts and hot dogs. “My favorite thing about the study was finding what I had about barbecue,” Schleicher says. “I measured how fans talk about different menu items and found that people were on average fairly neutral about hot dogs, but they loved barbecue and burgers. The same can be said about beer!